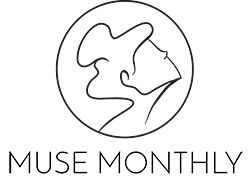 Today I am talking about not a book, but a book subscription box, called Muse Monthly. What makes Muse Monthly, I think, so great, is that with each month's book, they work with the author and hand select a tea to go along with the book, as you are reading. 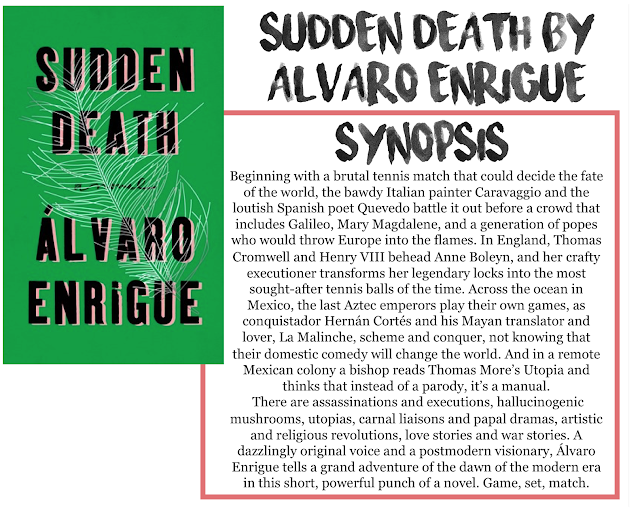 I was graciously sent the April box, and it included a copy of Sudden Death by Álvaro Enrique, and a delightful tea from The Mountain Witch Tea Company called Hangover Helper Tea. 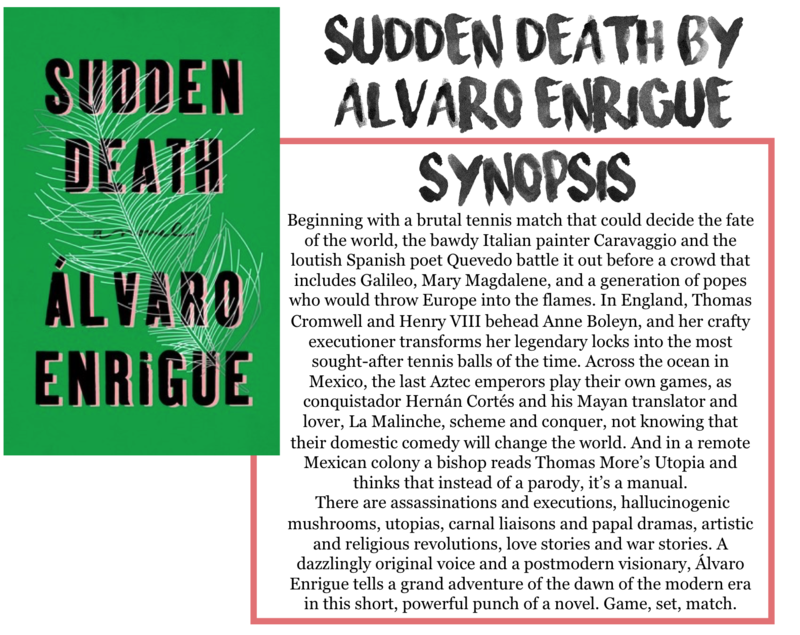 I haven't been able to read the book yet, but here is the synopsis! This sounds like a hilarious, bizarre and fantastic novel. I don't think I have, or ever will read something like it again. For some strange reason, I'm getting a kind of Alice in Wonderland vibe from this book, just because of the strangeness. The other component of this box, is the tea that comes with the book. And it's not some grocery store, cheap, sample sample size tea. This is a full sized, made in a home kitchen, loose leaf tea. I have never had a tea like it before. The flavours were so complex. I'm used to the run of the mill grocery store tea, or if I'm feeling fancy, David's Tea. But even then, I don't get much crazier than mint or espresso. This tea had so many layers of flavours, it was incredible. It feels weird to gush about tea like this but I think this is one of the best teas I've ever had. This box only has the book and tea, not a bunch of other things like bookmarks or posters, so the few components it does have need to be of excellent quality. There aren't smaller things to increase the value of the box. And I think this box is able to stand on its own. "Muse Monthly is dedicated to bringing you the best in contemporary adult fiction, with a focus on literary fiction from debut writers. We strive to provide a diverse range of novels, including those written by and about women, people of color, and those from the LGBTQA+ community. We are also focused on supporting small, local, organic tea makers from the US and Canada." You can really tell the work and effort that goes into these boxes, because of the quality of the products. They even have a shop where you can buy the book or tea from that month, if you missed out, or loved the tea so much you needed to get more (what? I'm not patiently waiting for this month's tea to be put up there...). They even offer a gift box, for you or a fellow book lover that includes that month's subscription but doesn't auto-renew, if you want to try it out or gift it! Before the subscription period opens, they announce the book on their Instagram page, which, if you're like me and have way too many books and don't want duplicates, or you just like to know ahead of time, is perfect. The books are adult fiction, but they never seem boring or uninteresting. Just last month, the box included a copy of A Gathering of Shadows and a tea that selected with the help of Victoria Schwab herself! Boxes start at just $21.00 a month (less than the cost of buying the book by itself, let alone the tea!) so it's a steal of a deal! All in all, if you are looking for a different book subscription box, with unique premises and the best teas you will every have, definitely check out Muse Monthly.